In this volume an international team of scholars address the theme of books as sacred beings from an impressively diverse range of primary material and perspectives. Yet, as a group, they meld to engage and advance previous research to solidify the conclusion that human cultures, especially religious groups, often ritualize bodies as sacred books and books as divine beings. The studies collected here not only increase the range of examples of this phenomenon. They also show the wide variety of ways in which the identity of books, bodies and beings gets both ritualized and theorized. 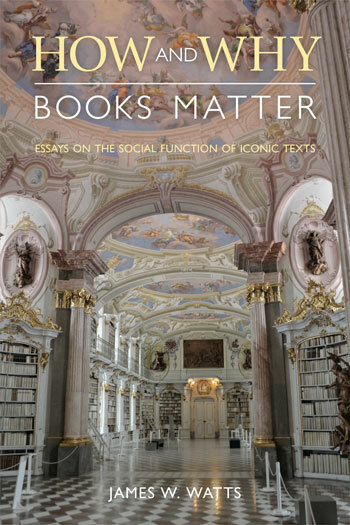 The articles are bracketed by an introduction to the collection, and then by a concluding essay that extrapolates the theme of books as sacred beings on a more general level. Virginia Burrus is The Bishop W. Earl Ledden Professor and Director of Graduate Studies in the Department of Religion at Syracuse University. Jason Neelis is Associate Professor and Chair, Religion and Culture, at Wilfrid Laurier University.